These sets from Michael Harding allow you to try a selection of luscious, vibrant colours in 40ml tubes. 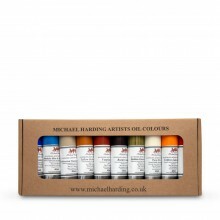 Michael Harding paints are made by hand, using techniques which date back to the days of the Old Masters. There is a very simple reason for this painstaking process. Harding's past as an artist and painter compelled him to want to create colours that were true and vibrant, and paint which was beautiful and durable. 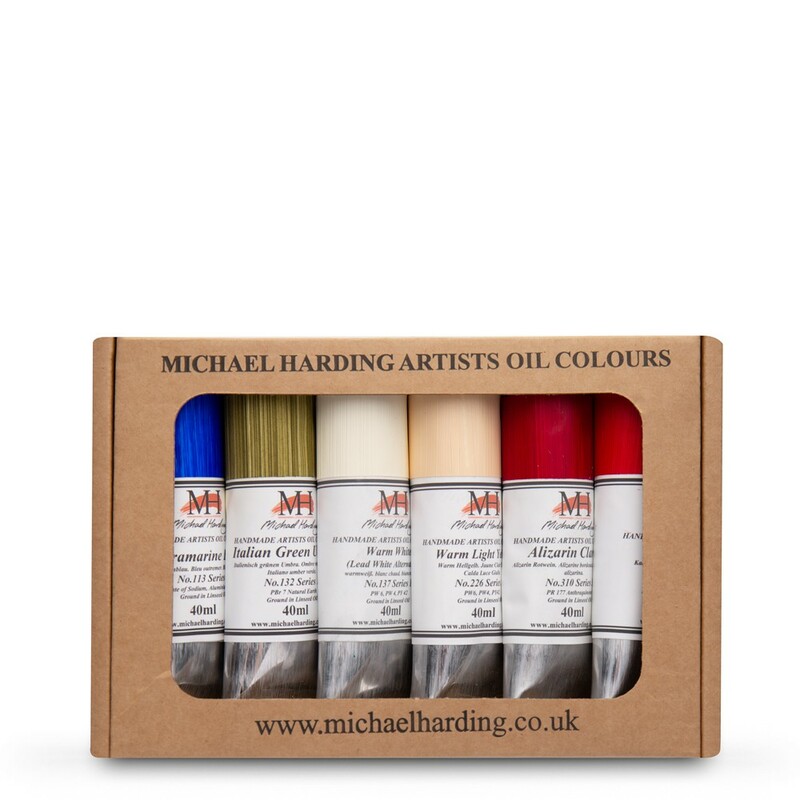 Harding will not claim that his paints will turn you into a great painter, but he does promise they will have a profound effect on your work. 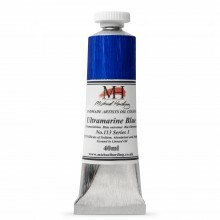 Your colours will be stronger and richer, and you will find the texture of the paint incomparable. You will love working with them.